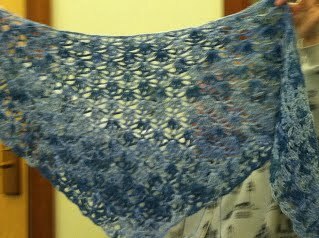 Fishnets ushered in a new calendar year with another fun meeting filled with show and tell, new faces, cookies, and time to crochet. We were treated to a fabulous presentation by Bob Williams on photographing our crochet to its best advantage. Many thanks to Bob for sharing his expertise with us. In looking ahead, meetings will continue at the Cary Library in Lexington through May. We will be ‘on the road’ for the summer, hoping to visit a couple of yarn shops and attending the Chain Link Conference in Manchester, NH in July. 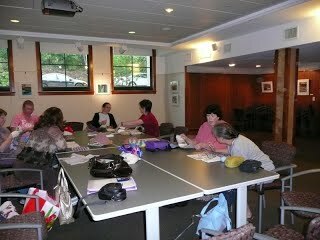 The bulk of the meeting was spent with Fishnet Crocheters exploring many various ways to apply beads to their crochet. Worsted weight yarn and large pony beads were used so that crocheters could easily see what they were doing. Techniques included pre-stringing beads and applying them as you crochet. 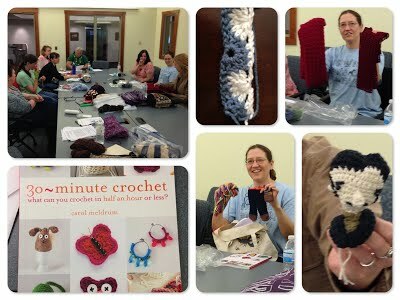 Crocheters were able to practice with the chain stitch, single crochet, double crochet, and picots. 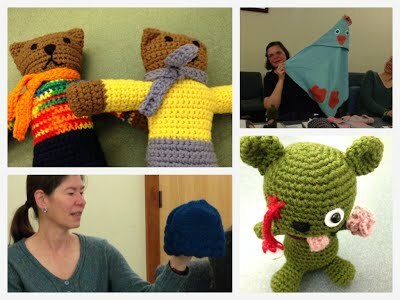 Crocheters gathered back at the library for another round of fall and winter meetings. Stitch for the month is the Crazy Stitch.